Specializing in yard care and new installations….new landscape projects to “freshen up” your yard or to create a new space to enjoy. Aerating promotes strong grass roots for a healthier lawn. A key ingredient to a healthy lawn that alleviates compaction and allows nutrients to get to the roots. The roots then go deeper for a thicker lawn that is more drought tolerant. Power raking removes moss/thatch that prevents important nutrients from getting to the roots of your lawn. A thick and beautiful lawn requires regular maintenance and moss/thatch removal is so important in that process. Lime/Fertilizer stimulates steady growth by feeding your lawn the nutrients it needs to grow and stay thick, green and healthy. Slow release fertilizer is the key to regular growth as your lawn gets fed steadily over a period of a few weeks before the next application is needed. Quality Rye grass to add new life and thicken up your lawn. Great way to fix patchy areas and a must do after power raking to thicken areas where moss was present. Your lawn eventually loses nutrients and soil value over time and should be top dressed every couple of years to rebuild the base of your lawn and keep it level for proper maintenance. This will also help the roots flourish in soil that’s less compacted. A sand mix also helps your lawn drain more efficiently. Hedges, fruit trees, shrubs or overgrown trees can create problems in your yard and are less desirable to look at. Keeping trees trimmed will help maintain a vibrant look and a healthy tree/shrub that produces nice flowers and thick foliage. Keeping things trimmed is important but it is also good to clear your garden beds and yard of dead growth and unwanted materials to keep bugs and disease away as well as unwanted critters. New turf installations, new trees and shrubs.New Irrigation systems, Water features with gurgle rocks. Garden ideas and design. Drainage problems. Large rocks for retaining wall or decoration. Weed Control kills clover, crabgrass, buttercups, dandelions and more. 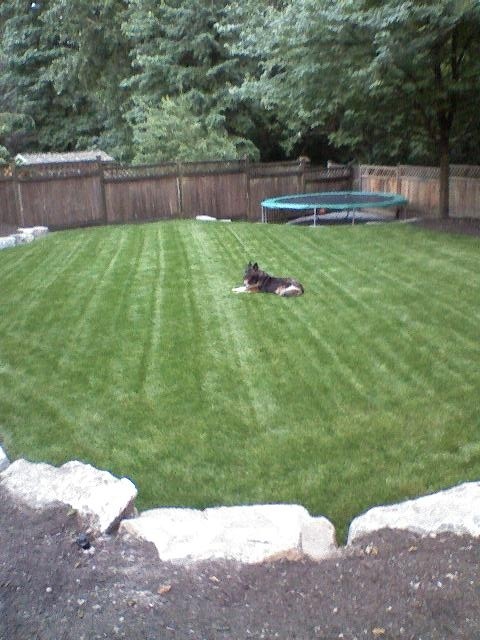 Usually best done after your lawn is growing and healthy towards mid May or later. 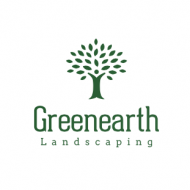 Greenearth Landscaping, Proudly powered by WordPress.